Sharing with you more love for Grandma's from happy, satisfied customers. Inez & Jill even did their own Grandma's Secret Experiments and documented it! 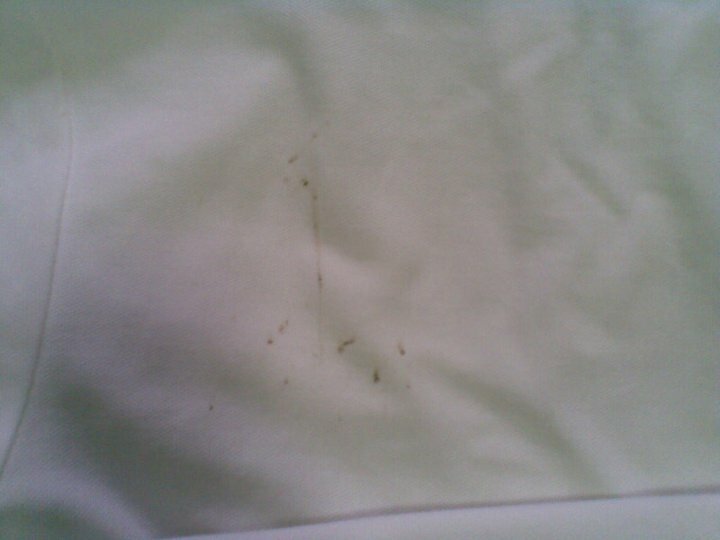 One of Pao's white shirts got stained at Whiskey Hill 7 with tar. I don't know how he managed to get tar on his shoulder but there it was. My friend Tin Dychiao had just brought in Grandma's Secret Spot Remover from the States, so I decided to try it on the tar stains. AND IT WORKED! No, I'm not being paid to say this. Haha. Yay, tar-free -- well, except for a teeny, tiny spot I really couldn't scrub out. Here's my comfiest pair of pants ever with some ugly food stains on the left leg. I then hand washed the affected area with Perla soap and then threw my pants inside the hamper ready to be sent out to the laundry house. After a few days, here it is good as new and with no hint of discoloration whatsoever, very impressive considering that I went way beyond the recommended 5-10 minutes (try 6 hours:p). Not bad Grandma! 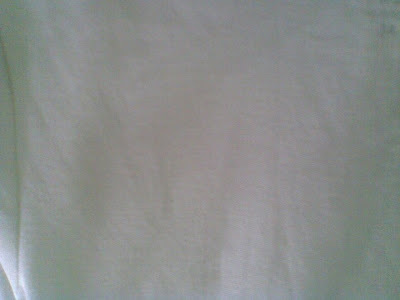 While Grandma's works on month old stains, I think the best results are when fresh stains are treated right away. That way, the stain hasn't seeped into the material yet. I strongly recommend bringing Grandma's with you - either in the diaper bag, or your handbag. It's really such a handy dandy cleaner, I cannot imagine life without it! For the complete list of stockists in the Philippines, click HERE. I do have a soft spot for kids (well actually if they are blood related lang to me hehehe and a few considerations like cutie Berry.) And thank you for spreading the word about Grandma's stain remover its like the stain never happened. i have grandma with me while traveling... nesquick spills, ketsup stains, and tomato sauce no match! haha! oh, also use it to remove stains from my long champ bags. @laughing.gams: Awww, thanks for including Berry in your "considered list" hahaha! Actually, I really freaked out! I was thinking doe sthis need to be sanded and refinished? I figured wouldn't hurt to try Grandma's, and thankfully it worked, whew! 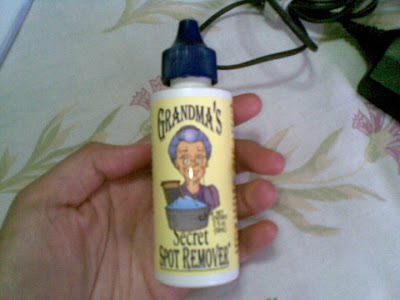 Grandma's saved the day na naman!